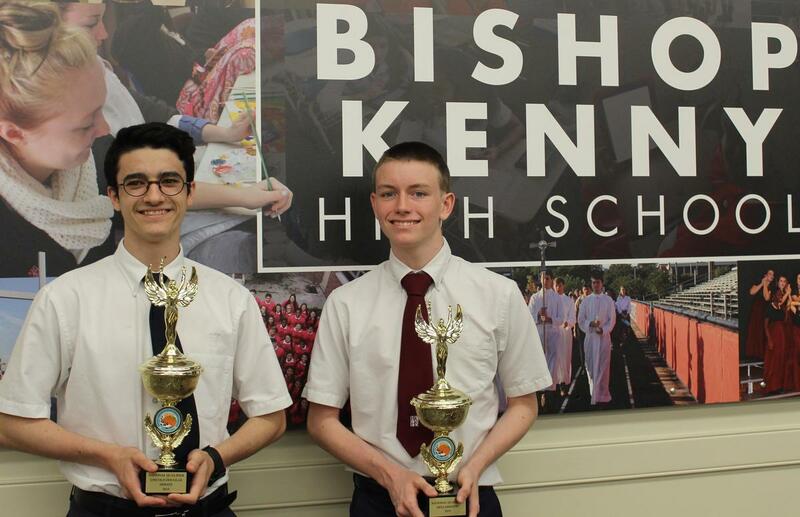 Andrew Russell, BK ’21, and Daniel Futrell, BK ’22, both advanced to the National Forensics Competition which will be held in Milwaukee, Wisconsin, in May of 2019. 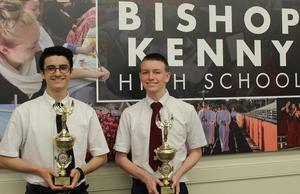 Both students competed in the North Florida Catholic Forensics League State Finals February 22 – 23 at Buchholz High School in Gainesville, FL. Andrew placed as a State Finalist in Varsity Lincoln Douglas Debate, and Daniel placed as a State Finalist in Oratorical Declamation. Forensics competition is a contest between individuals or teams that utilize argument and advocacy skills. Russell and Futrell both enjoy honing their skills under the tutelage of Matthew Sills, the BK Forensics Coach. Learning to understand philosophy and reasoning is important to winning fact based arguments and these young men have truly excelled this year. They are both members of the NJROTC Program at BK and enjoy academics as well as sports activities.